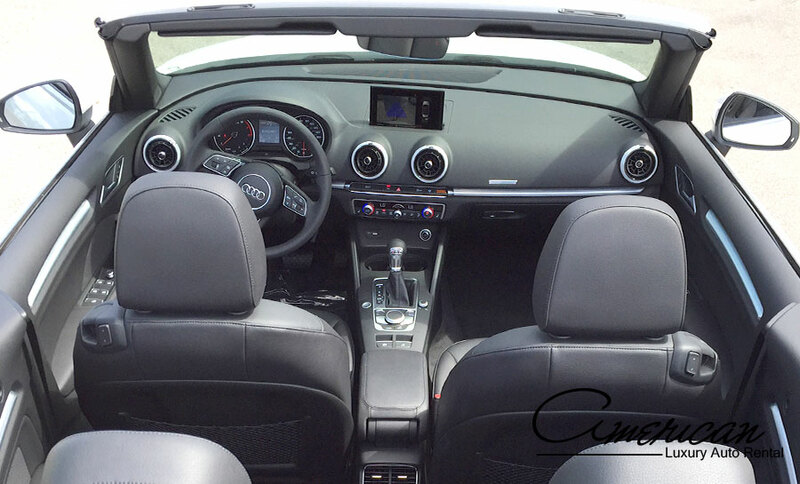 The Audi A3 Cabriolet 1.8T FWD S tronic. 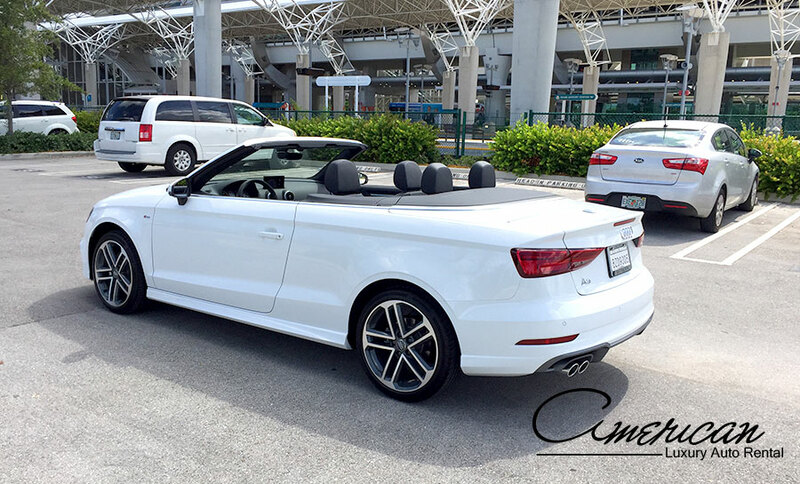 So the Audi A3 Cabriolet follows in the company’s fine tradition of making elegant open-top cars. 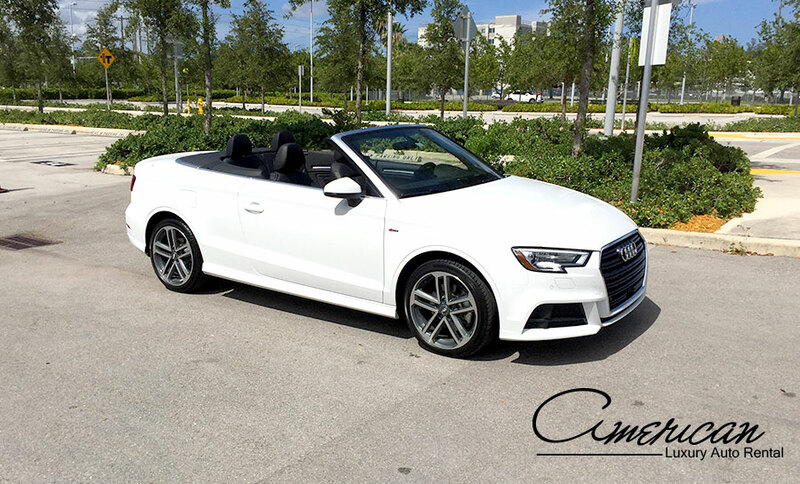 This time, the new generation of Audi A3 compact sedan provides the lower half, topped off with a fabric roof. 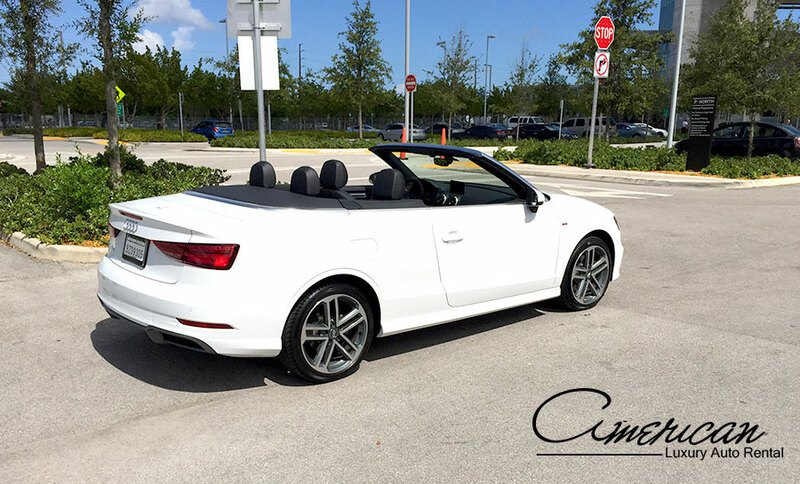 There hasn’t been an A3 cabriolet in the U.S. before, so this is a novelty. It’s a 4-seater in theory, though that might not always work out in practice. Best to leave the rear quarters for the short and nimble. The car does have decent trunk space, though: 10.1 cu ft. A long weekend’s luggage for two will fit, even with the top down,parking system plus w/ rearview camera.. 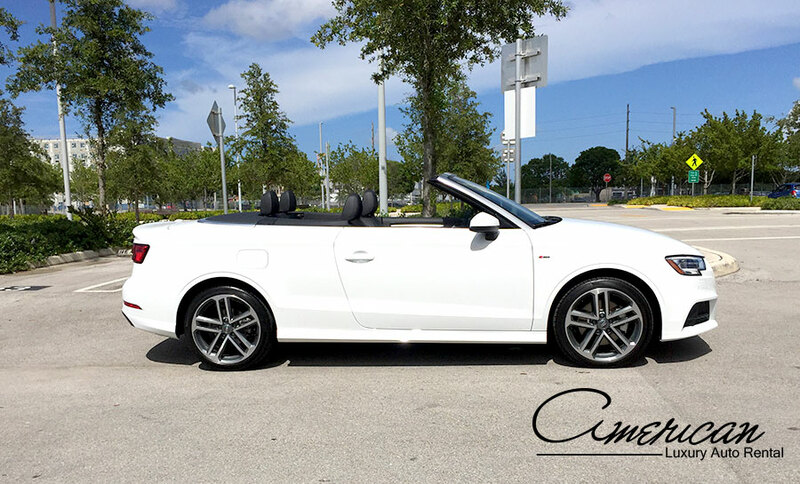 The sportier S3 cabrio is also coming over, with all-wheel drive as standard. 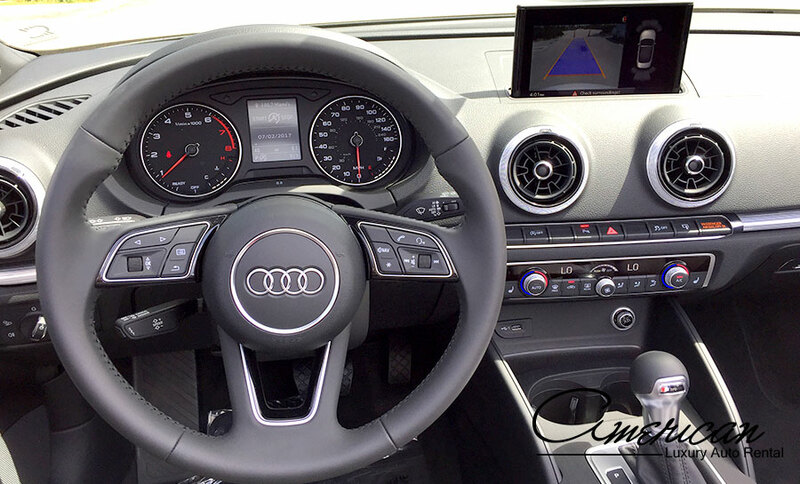 The entry level A3 employs front-wheel drive; all-wheel drive is an option for higher trim levels. Educated guesses on engine choices would be a 2.0-liter, 200-horsepower turbocharged 4-cylinder in the regular model, and that same unit tuned to 300 hp in the S3. The roof is operated electro-mechanically, performing its folding/unfolding act in less than 18 seconds and at driving speeds of up to 30 miles per hour. There’s also a proper glass rear window instead of a plastic one.